LONDON—Midway through the ceremony marking the 60th anniversary of Queen Elizabeth II’s coronation, sources close to the Royal Family confirmed today that Duchess of Cambridge Kate Middleton felt her royal baby kicking inside the womb. 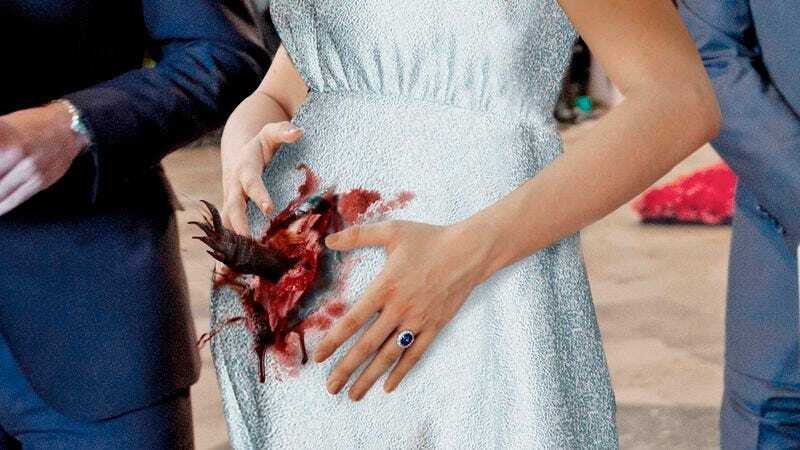 “His little highness has apparently been moving around a lot lately, but today the royal mommy-to-be definitely felt the biggest kicks yet!” said Daily Star reporter Prudence Jones. “Her bundle of joy must be really eager to finally come out and meet the world. And with kicks like that, don’t be surprised if the little guy is recruited by Manchester United one day!” Sources later confirmed that Middleton left the ceremony prior to its conclusion after complaining of mild stomach discomfort.